Superintendent Tetsuo Otani may have a double murder on his hands. The case begins simply enough when Otani and his wife, Hanae, meet Hanae's sister for coffee at the stately Nara Hotel. Michiko is a full professor of history at one of Japan's most prestigious universities. She's also a worried woman. She's currently involved in an international summer school on classical Japanese arts and crafts. Students from all over the world have come to study with the eminent profes-sor of archaeology who heads the program. Michiko thinks the professor may be a target for murder. Superintendent Otani is intrigued, but his curiosity is especially aroused by the reappearance of Keizo Hosoda, a gangster who has just been released from prison after a five-year term. It's strange that his name should be listed on the daily function board at the very hotel where the Otanis are en-joying their morning coffee. It's stranger still when, sometime late; Hosoda suddenly drops from sight. Academia and the underworld would seem to have little in common until Otani and his close associates, Inspectors Jiro Kimura, Takeshi Han and "Ninja" Noguchi, find that murder knows no boundaries. 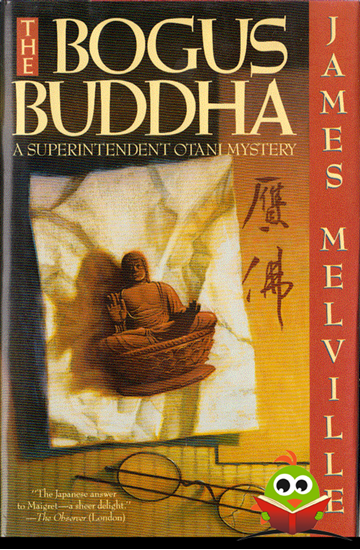 A former resident of Japan, James Melville brings great sensitivity to his exquisite studies of culture and crime. Superintendent Otani is one of the most-loved detectives in mystery fiction, and the Otani novels are interna-tionally acclaimed by critics and readers.